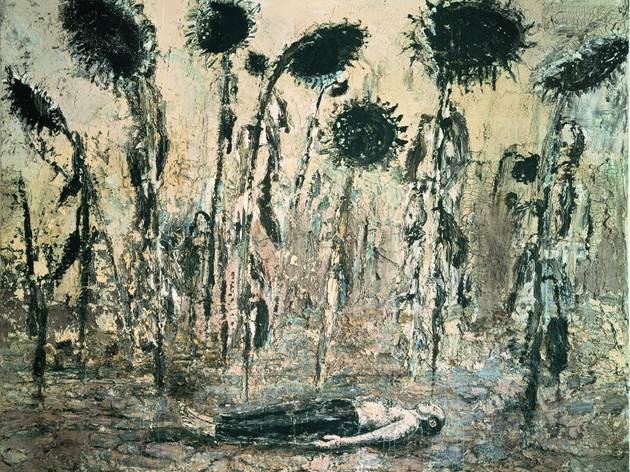 Imposing multi-media works from an iconic artist obsessed with the impact of time on events and materials. 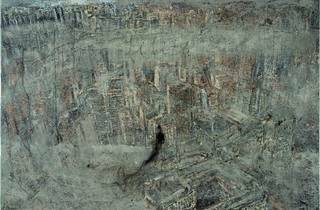 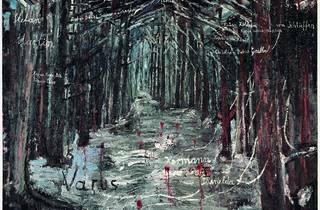 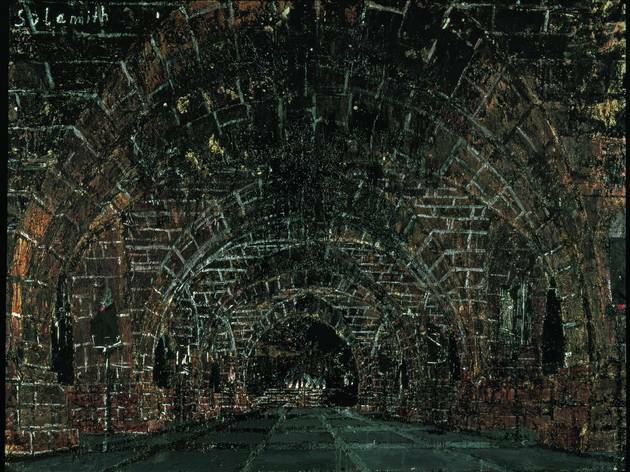 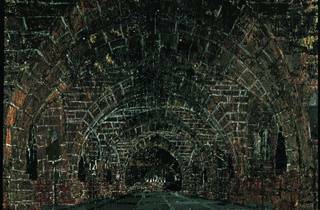 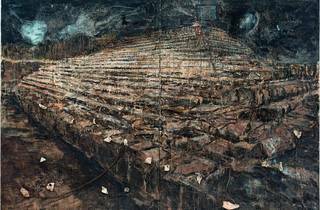 Born in 1945 in a small town of Bade-Wurtemberg, in southern Germany, Anselm Kiefer grew up in a postwar environment scarred by defeat, omnipresent ruins, and a national code of silence about the country’s Nazi years. 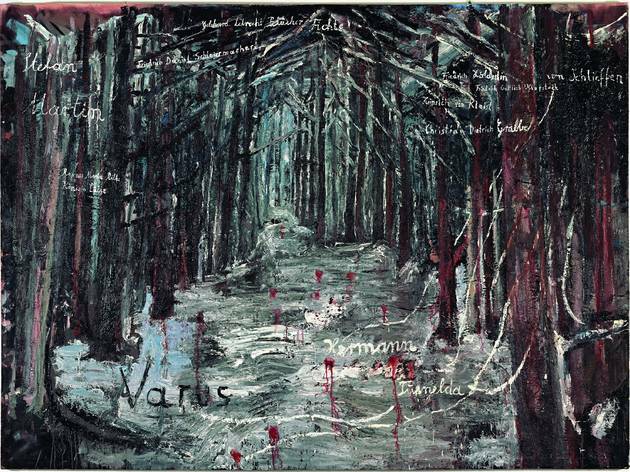 These early impressions led him to ponder the nature of memory and history throughout his work, in a thirsty quest for a German answer to the great ‘Why?’ of events. 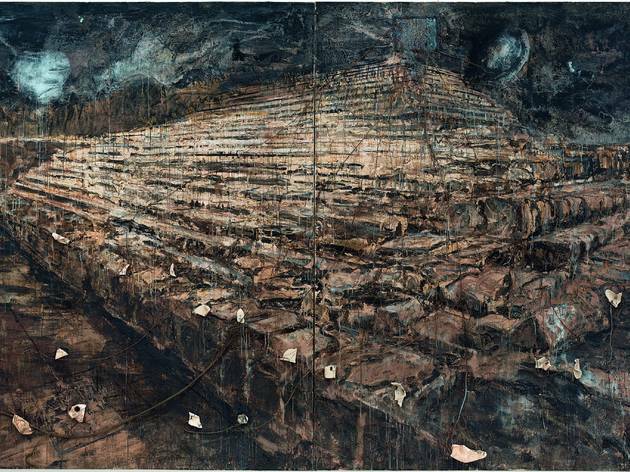 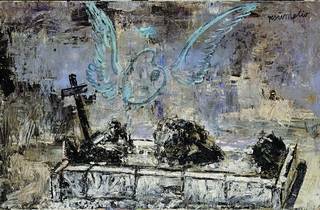 What first strikes the viewer at this Pompidou retrospective, however, is probably not the philosophical depth of the Kiefer’s work, but rather the sheer size of it. 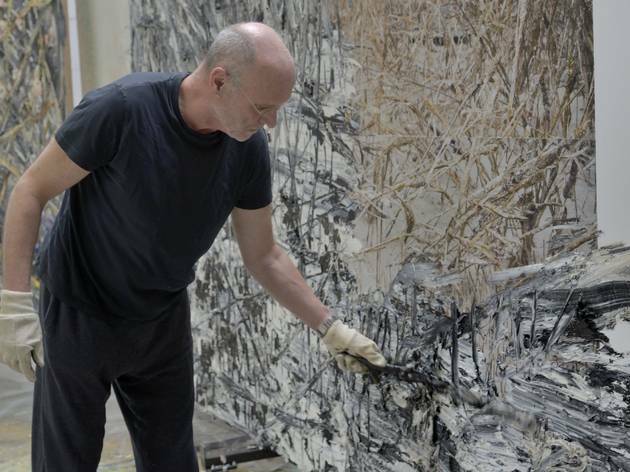 Cathedral-sized canvases cover the structure’s high white walls in an impressive show of technique and matter. 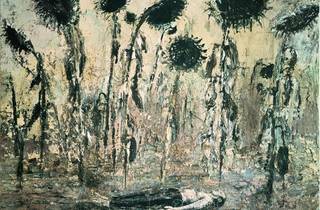 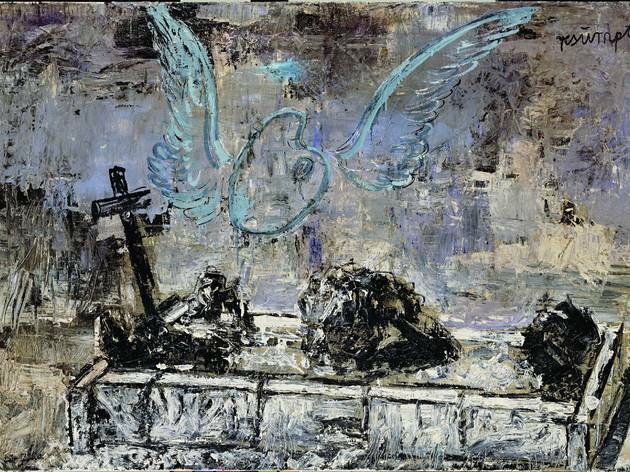 From his beginnings in the ’70s, Kiefer has made liberal use of coal, lead, and lumpy paint in his work, giving equal importance to shade and texture. 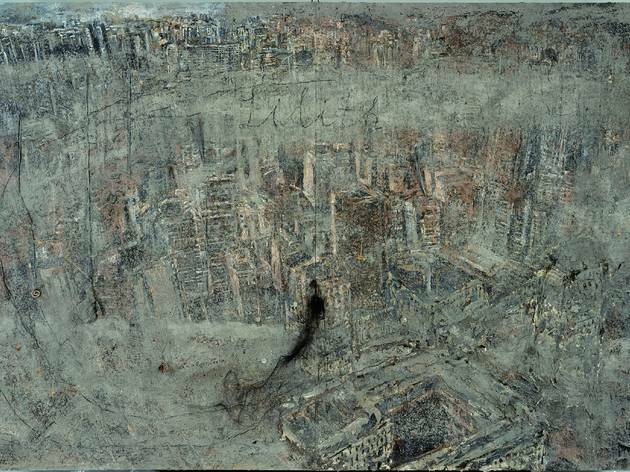 As we see here, he would even go on to add non-paint material to his work, including ashes, copper and wisps of straw. 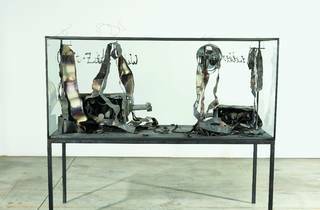 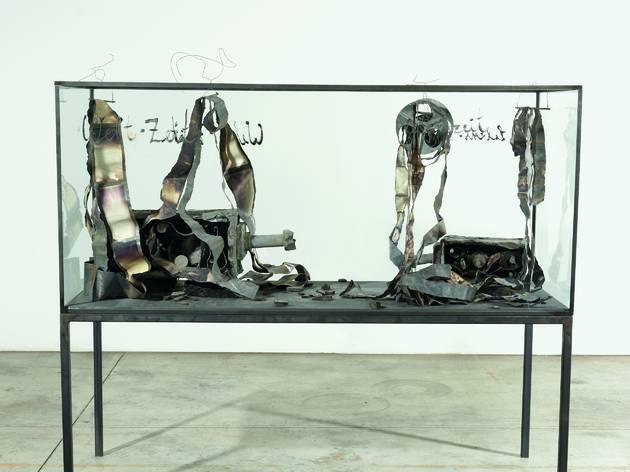 While works like the monumental, and strikingly intricate, ‘The Orders of the Night’ (1996) demonstrate this taste for bulky materials, freezing his work into heavy immutability, the almost scientific ‘Vitrines’ series embody time at work. 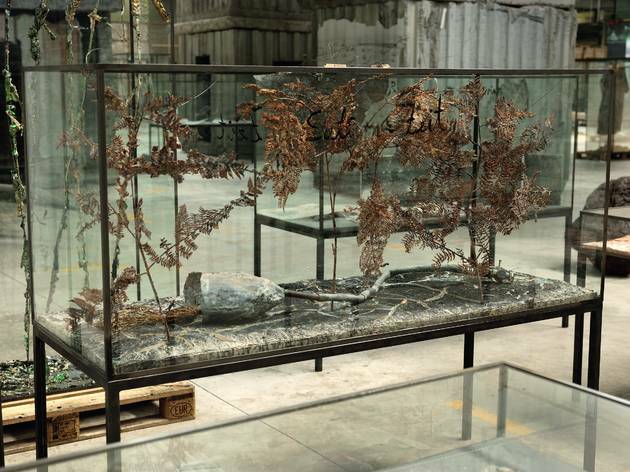 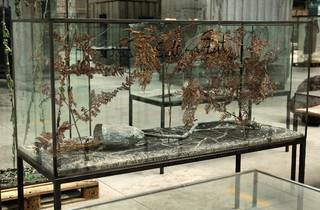 Collections of metal, stones, burnt objects and dried herbs are thus gracefully arranged inside glass containers and labelled as ‘accumulation of possibles’ by Kiefer. 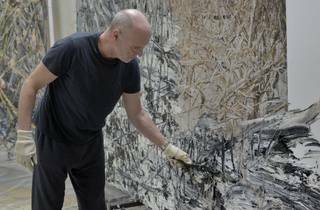 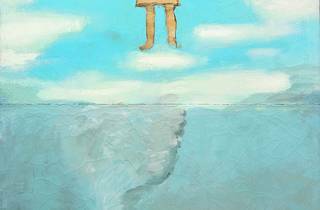 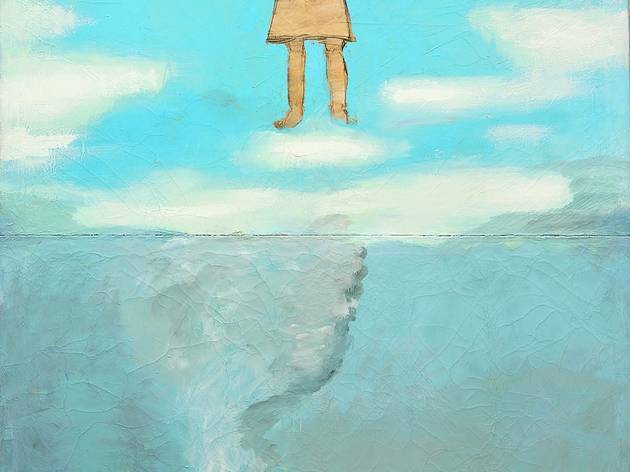 He sees them as an experimentation on how matter can change under chemical processes, perhaps in the same way as historical pressure gives shape to time and events.